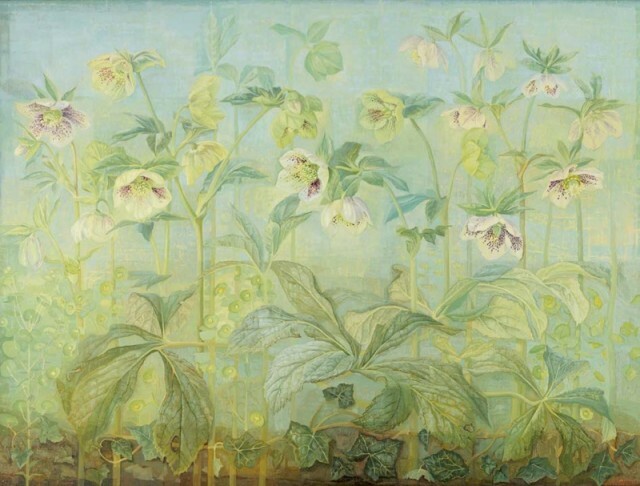 Jane Wormell has been painting and exhibiting her flower paintings for more than thirty years, beginning with botanical studies in watercolour before moving into oils. As well as painting small intense studies of the garden and individual plants, she enjoys the challenge of painting expansive canvases of hedgerows and flower borders. I am interested in the atmosphere each flower creates, its relationship with the plants around it and the spaces created between. Jane Wormell (b. 1960, UK) lives and works in North London. She studied with her father, the painter L . J . W. Linsey who was a principal Lecturer in Fine Art at Hornsey College of Art. Wormell has exhibited in numerous group exhibitions at commercial galleries and public institutions including; The Royal Academy Summer Exhibition, London; The Barbican Centre, London and The University of York.